It takes a lot of energy to heat and cool a home or building and in fact, the systems used for this purpose account for the majority of energy use. 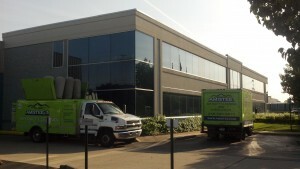 These systems – even in new buildings – tend to be dirty, and become more heavily fouled through everyday use. Fouled heating and cooling systems can also be problematic for occupants, contributing to poor indoor air quality, system failure and increased energy use. Researchers have proven that cleaning even lightly-fouled heating and cooling systems can result in energy savings of 11 percent. In addition to these savings, consumers who have their heating and cooling system cleaned in Michigan can benefit from improved indoor air quality, reduced maintenance costs and extended life expectancy for the heating and cooling system. While not yet confirmed, cleaning heavily-fouled systems is expected to produce even greater energy savings. These findings have all been discovered by the National Air Duct Cleaners Association which Amistee has proudly been a member of since 2005. 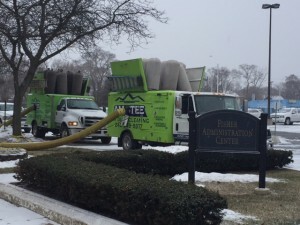 Amistee represents only a few of the air duct cleaning companies in Michigan that are members of NADCA which is a not-for-profit trade association representing companies around the world that inspect, clean and restore heating and air conditioning systems. 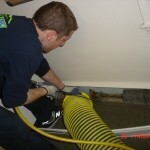 Amistee is focused on cleaned ducts in Michigan and helping local homeowners and business save money from duct cleaning. 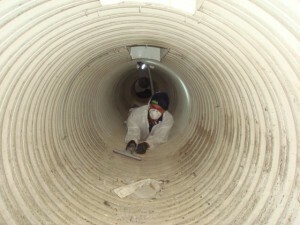 To clean your air ducts at your Michigan business or home call Amistee at 248-349-8877 or email Info@amistee.com to receive a quote. 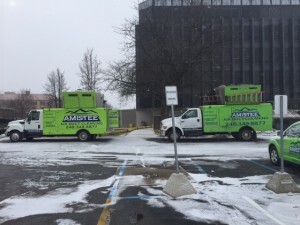 Duct Cleaning in Michigan offered by Amistee will make a significant impact on your health and help reduce your energy bills if performed properly. Trust in Amistee as thousands of other Michigan homeowners have.